Sending your son or daughter to sleep away camp for the summer is a major decision. Most of the time, this is a child’s first experience away from home without parents. What if we said that instead of going away for the whole summer, children can get the same experience in just a week? 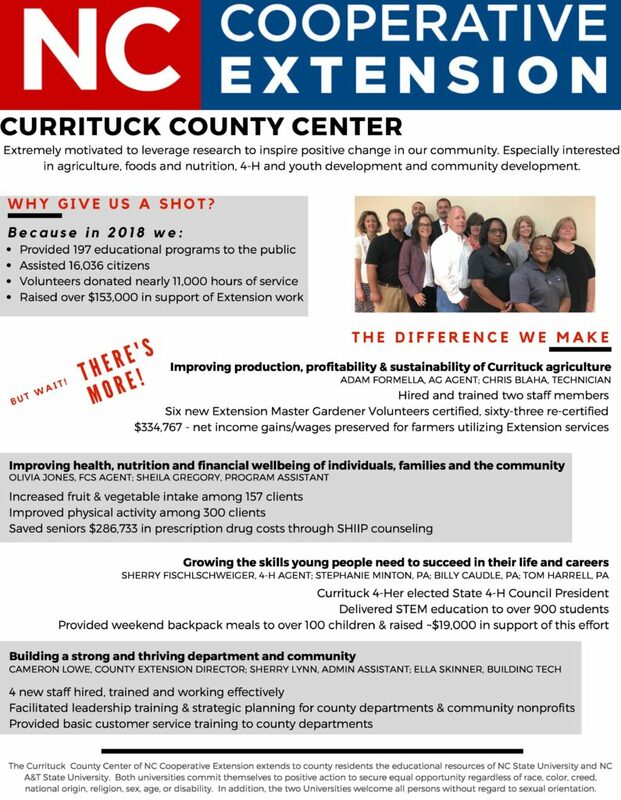 Currituck County 4-H has a great opportunity for you! County 4-H staff has organized and will accompany youth to Eastern 4-H Center in Columbia, NC during the week of June 23-28, 2019. Children can try canoeing, archery, swimming, and more! 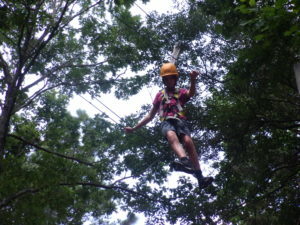 Sleepaway camp is the perfect place for your child to become more independent and confident in themselves. In just one short week, you will notice a difference in your child and they will make tons of memories to last a lifetime! Campers sleep in modern cabins with multiple indoor showers and restroom facilities. Each cabin houses up to 22 participants with at least two counselors available to provide constant, safe supervision. Campers bring their own sleeping bags or bed linens, as well as clothing and toiletries. The Eastern 4-H Center provides all the specialized equipment for camp activities. Nutritious, balanced meals are served family-style, three times a day. Snacks and juice are served mid-mornings and evenings. The camp store is also open in the afternoons for ice cream, soft drinks, snacks, and souvenirs. We guarantee your child will have an unforgettable experience! The cost for camp is $420.00 which includes transportation, meals, lodging, insurance, camp t-shirt, and $15 camp store money. Payment plans are available. There are only a few spots available, so please do not hesitate to register by calling N.C. Cooperative Extension, Currituck Center at (252) 232 – 2262. If you need accommodations for persons with disabilities, please contact Stephanie Minton at stephanie_minton@ncsu.edu or by calling (252) 232 – 2261 no later than 21 days before the event.